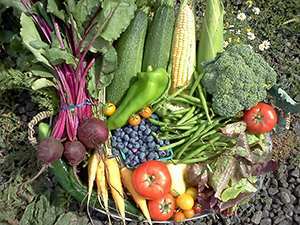 If you want to make a living from farm products, but still have time to live, stick with high value crops that require a low time investment. Good examples include: mushrooms, maple syrup, honey, grafted fruit trees, vegetable plant starts, hatching eggs and chicks, worm castings and saved seeds from heirloom vegetables. If you’ve invested in more land than you can readily use yourself, then the land itself can be rented or leased to others for a steady income with no extra work on your part. An extra pasture can be rented for grazing or sold off as hay, and woodlot can be leased out just for the maple sugaring season. Small scale farmers are often happy to pay you in cash or veggies for a plot of land to cultivate. An overstocked fish pond can be rented out to fishermen, who in prime locations pay hundreds of dollars for just a weekend’s access to a good fishing hole. Similarly, in hunting season hunters will pay for access to prime deer or turkey territory. If managed properly, parts of your land can be rented or leased year after year without degrading its value. In most cases, actively managing the landscape in this way will increase yields year after year, as hay fields produce more when regularly hayed and ponds produce more fish when not overpopulated. As development marches on, less and less of the world’s land is in a wild, untouched state. Your off-grid homestead is in a great position to sustainably harvest these wild treasures and sell them to under-served markets. 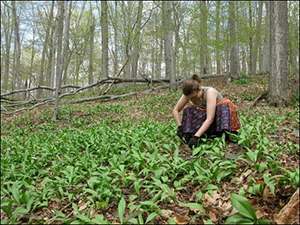 Things like morel mushrooms and ramps can only be found for a short season, and locating a productive patch can be a healthy source of income. Other wild edibles are both common and easy to identify in rural and wilderness areas, but they still fetch a high price in urban markets. A good example is sumac powder, which is in demand as the popularity or ethnic cuisine increases. Sumac is incredibly common in the wild, it just takes a little time and know how to harvest it and find the right market. Many wild medicinal plants are commonly available weeds, and all it takes is a little time and know how to harvest them and process them into high value tinctures, salves and teas. As little as a teaspoons worth of a commonly available foraged medicinal herb can be transformed into a tincture that sells for $10 to $12 per ounce. Once you’ve taken the time to learn to live from your land, there are others that would be happy to pay to learn from your experience. Homestead butchery classes are becoming more common, and as people take an increasing interest in processing their own foods, these classes are selling out as quickly as their booked. Once you’re established as an authority on a subject, it’s easy to bring in $300-$500 per person for a single day or weekend class in basic homestead skills like hog processing, charcuterie, timber framing or beekeeping. 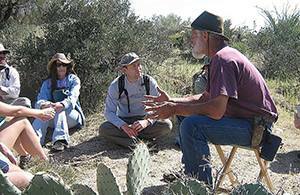 Longer form certifications requiring a week or two of study are also quite lucrative, and a 2 week long permaculture design course can bring in as much as $4000 per student. If you’re not qualified to teach something like this, hosting a teacher on your land can have more than just financial benefits. 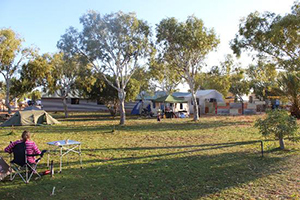 With courses in such high demand, teachers are seeking out venues where they can use the land as a workshop to teach the students to plan and construct an edible paradise. Not only will a teacher pay you for the privilege of using your land, you’ll also enjoy the benefits of free labor from the students as they practice their skills building horticulture beds or planting your permaculture orchard. You love the pristine beauty of your piece of off grid heaven, and there’s a good chance others would pay to experience it for just a weekend. Most people have heard of Air BnB as a way to book a cheap room when traveling, but there are other sites that specialize in connecting people who have land with others who want to camp in a remote location. 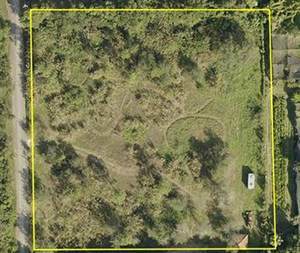 Hipcamp specializes in booking camping vacations where someone pays you to pop up a tend on your land for the night, no amenities required. Similarly, with enough space and just a bit of organizations skills, you can host group retreats. Yoga and meditation retreats are a good fit with an off-grid property, where the rustic lack of amenities will be seen as a feature rather than a drawback. There was a time, just last century, when just about everyone had to make a living from their off-grid homestead. Learn a trade where you can work with your hands and contribute to your local community. Carpentry, wood carving and forestry skills are a good start if you’re young and strong, but otherwise learning softer arts like spinning yarn or weaving can be taken up by just about anyone with hands and patience. These forgotten skills are in demand as people look for high quality locally made products. If you’ve installed off grid electrical systems on your homestead, those skills are likely in demand in your area as others need a hand with their own off grid setups. Using what you’ve learned to be a small scale solar and wind contractor will help you make connections with other like-minded folk, and keep you learning and up to date so you can maintain your own system. If all else fails, work remotely. Satellite and radio internet reach even the remotest areas of the globe and allow anyone with a computer to pick up work freelance writing, editing, or as a virtual assistant. There are many high skilled jobs that can be done out of an office with just simple internet access. Even lacking computer skills, typing can be learned quickly with practice and data entry and transcription are still in high demand even in our otherwise high-tech world. Preparedness is becoming part of mainstream culture, and writing and speaking about your own experiences in prepping can earn you a profitable following pod-casting, blogging or with your own YouTube channel. All it takes is a little confidence to share your hard-earned skills with the great community of preppers out there in your global community. Since I spin and weave, where are the buyers in North Carolina or Virginia? I second that. Look for farmers’ markets, and craft shows. You will have to pay an entry fee and you want to make sure you can sell the product for the entry fee and however much your time is worth while you are at the market place. I was in a store yesterday that sells antiques. The person who owns the store doesn’t actually have any merchandise. They rent space to various small dealers who can display their merchandise and they collect a percentage of what is sold for manning the store. It’s a win-win for small time antique dealers or handicrafters. You might also consider offering classes to other peppers who might like to know how to spin and weave. Or just folks who might like to learn it as a hobby. Anthrax used to be endemic among wool workers. How do you avoid anthrax if you spin raw wool? Do you have to boil the wool first? Has anthrax been eliminated as a disease among sheep? You might try putting a notice in Grit magazine under their “Looking For” column. It’s free. At least it would get the word out about your products. The area I’m moving from has a fiber arts studio tour every fall and an arts sale in the park. It was started by local crafts people. It has become a lot of fun and is well attended. Many count on those to events for sales to help support their farms with akpacas or sheep for wool. They learned from each other and formed the arts council that now promotes and plans events. All members pay annual dues. Angora rabbits for fiber have been added and all forms of art are now represented by a newer council for the area. Developing cooperation between artists has benefited all. Just ask “left coast chuck”… she has advice on every damned thing! As a member and former president of a local beekeeping association, I completely agree. Over the past several years, I noticed that new beekeepers are declining help from a mentor and are failing after one or two years. It also is a fairly expensive hobby if you care for your bees well. My mentor runs 150 hives- the breakeven point is about 100. The current annual hive loss rate is about 30% -that is a significant amount. Any suggestions on how to start or attract =-O , artists and buyers to a beautiful tiny rural community? We’d love to recabount, our community into an artists haven. Place is very small but has a lot of historical places and beauty nearby. Land is still fairly cheap. 25 minutes or less to shopping and doctors, 1 mile from a good emergency room, 1 hour to a major airport, outdoor recreation areas abound, 3 miles from an Indian Casino, and airbnb rentals in the community. Please ignore auto spells inventive words. “Reimage”. Lucenia, you might ask your state’s tourism board or council for help in getting the word out about your desires for your area. Just be careful. You might get someone moving in you don’t want and won’t know it until it’s too late. Is there a community or town council for your area? Work with them to set up a thorough vetting process for “artists” and others wanting to move in. We’re a tiny unincorporated village. There is an art council for the county but all they actually do is promote and members only gallery in a town 25 miles from us. When I lived in the area years ago I was a member. I’m.just moving back to my old home there. A new neighbor has purchased the property across the street from us. He lived a dozen years in an art colony in Germany. Then he lived in Manhattan. Right now he rents aiabnb tiny trailers and adobe rooms with a shower/ bathroom building for that spot on his 7 acres. We both front on old Route 66 and tourists worldwide stop to take pictures of the old buildings. He’s asked me to teach a plain air watercolor workshop in his apple orchard this September. He has mostly NY artists coming to his airbnb rentals so they can stay and paint and gather reference photos. He recently visited another rural town that has become an artists haven with old homes and stores all turned into galleries and restaurants. He’s now wanting to create something like that in our tiny community. We’re rural but only 1 mile off of an interstate. I guess we will have to form our own council and see what happens. Good luck with your venture. Hope it becomes everything you want it to be. Well since you want to promote the place, why not say where it is right here in this forum? That is, since you seem to want to attract people of like mind. . . . That is, of course, if you truly are of like mind yourself. Can’t forget about reloading bullets. This topic is not discussed much on this website certainly not in a long term discussion. This is a skill many just don’t care about learning because bullets are sold at every convenient store seems like. Learn how to cast your own bullets, hone exacts loads for optimum shooting. Coat your own lead cast bullets without needing a copper jacket I g or just use the wax rings in the lube grooves as has been used for many years. The lessons are vast and numerous and down right fun. 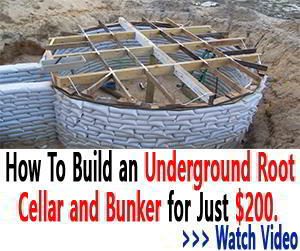 Learn these skills and people will be knocking down your door for help after SHTF. Many resources and supplies and equipment and online training available right now. Stock up on all and get started. Many forums to learn from and videos on you tube that go step by step on any topic. Have fun. I pick up old brass for my brother in law who reloads. Interesting hobby. He reloads most everything except 22. He sells those as scrap metal when he has enough to fill a 5 gallon bucket. He reloads for a good portion of his rural community. Not everyone has the skill or patience or equipment to do that. But if you were doing it now it may really be in demand if SHTF. In many years past, I kept a current food handlers permit and sold dinners, taught canning and sewing classes. Many today seem interested in learning those ” old time” skills that almost everyone knew something about. I grew up with older parents born 1904 &1907. They canned, sun dried, air dried herbs, gardened, and later added a large chest freezer to basic home equipment. I do all of the above plus raise chickens, ducks and rabbits. I butcher and gather fresh eggs from my lovely critters. All of the ” old time” skills will be needed if SHTF, but they are practical right now anyway. The property I’m moving back to was an Indian Mission church and School that my late husband and I pastored and worked in. I built a full commercial kitchen there for our summer camp meetings . It is still all there except the range hood. I don’t need the exhaust fans to do canning. I’m thinking of starting basic canning classes. All I’d need is a current food handlers card. Not doing for others, just teaching how. Perhaps sun dehydrating and how to build a solar dehydrator could be another class. At 70 I’m still active but some tell me to open a restaurant. I used to sell 60-70 pies a week in the area. Too much work and I’m caring for a husband with dimensia and I want to garden and care for my critters. Classes are something where I can control my schedualing. The 6 ft charbroiler I’ll probably sell. The crushed ice machine quit working years ago after being rebuild too many times to count. It was used when I got it and we kept it going for another 28 years. I’m thinking with a bit of modification it could be a good parts washer for our shop. Yes reloading will be a worthwhile skill along with growing and preserving food and any kind of survival skills and building trades. If we go back to life as it was 100 years ago it takes knowledge and hard work to live but folks still found time for hobbies and dances or church et. Social life still existed too. Initial bad times will settle into some form of society after the population settles into what it will become socially. Learn to play an instrument that is not powered. Or learn the words to a hundred songs anyone could sing along with or enjoy listening to. I play piano by ear and read music also. I have 4 different electric pianos but my mothers old upright grand piano is still tuned and available. I own an electric bass and electric guitar but they may not be so useful as an old basic standard guitar. Uncle played a jaw sharp or the spoons. I have a small Celtic harp that was a gift. And more instruments. Some electric, some not. Find something you can do and enjoy. Find something you can do that will contribute to life. We will always need folks that can make or repair the things we use and need. I would be extremely careful about reloading cartridges in a non-SHTF situation. You may be extraordinarily careful in your reloading, but you don’t know the condition of the firearms your customers will be firing your cartridges in. Should some untoward incident occur while firing your cartridges, I can assure you that you cannot afford the attorney fees to defend the lawsuit that would ensue. Furthermore, considering how intensely interested our federales and estamientos are in everything dealing with firearms, it is hard for me to believe that there are not lengthy sections of federal code and separate sections of state code dealing with the commercial manufacture of ammunition. And face it, as soon as you sell some ammo that you have worked up in your garage, you are a commercial enterprise. The federales even cooked up a scheme this past year to make gunsmiths “manufacturers” of firearms, so if you changed out the trigger on Cousin Joe’s 75 year old 30-30, you would have to comply with all the rules and regulations that Sturm Ruger has to comply with. Fortunately the NRA managed to put the kibosh on that scheme and The Donald got elected, so Barry and his Boyz didn’t get a chance to have the AFT come up with another set of ridiculous rules for garage gunsmiths. Now, if you whip up some loads for Cousin Joe’s 30-30 and don’t charge him for parts and labor, but just gift him your super deer killer 30-30 load, you may be in the clear. Keep in mind, I am not a lawyer. I only play at being one on the internet. Legal ramifications are a problem with almost anything you do. Choose carefully. Or just learn for your own information. Of course in a shtf situation lawyers may be out of work for a time. You may stick to your basically chosen group in a crazy future. Currently we are a heavilyl regulated litigious society. All landowners need to consult their insurance agent and check all ordinances prior to embarking on any business- type activities for your own protection. Remember to research any tax implications before you jump in also. Ask any moonshiner how relentless the government can be. No, just well- rounded with experience in tax preparation, the medical field, small business, and farming. I have done all of our business paperwork for years and have more than a passing interest in law. Most recently I completed our estate planning due to hubby’s health. during the great depression my grand pa, would take eggs to the town square and leave them, and sometimes a roster or a non egg laying hen in cages he just posted a note please return the containers, so i can help more people. it help people with their food needs. It is in developing “community” or in a tight knit family we survive best. I leave excess eggs and fresh veggies by the coffee pot at church. They are free for the taking. In turn, this week someone put “new” used tires on my car and repaired the slow leak I’d been nursing along on a front tire on my truck. It had a nail in it. Years ago when my parents were in their 80s I built a tiny home for my parents to spend the winters near me then they go back home and raise a summer garden and catch up on the news with their friends. Eventually Dad died and Mom opted to stay then finally moved in with me at 89. She lived to 96. Now I’m moving back to that place a son has moved there with us and gotten running water and electricity restored. Now he’s repairing the tiny home for his wife and baby to move into. I’ll lay flooring and paint walls to finish up. It’s in caring for each other that we have a cohesive, functioning, society. Many have lost that or find ways ways to create “family” from friends. I like both. If worst comes to worst. I will have to ” bug in” not out. I’ll have to depend on family and friends. And I’ll teach and share to help them. Yes we have a stocked gun safe and pantry. I have bug out bags but that’s more for fire or other disaster than planning to run to the hills. I have a full surgical firstaid kit in a very full backpack. Again, for immediate or future needs. Do I think society is capable of insanity? Sure I do! Will I bug out? Probably not. Could I? I could but my husband who’s mind and heart are both giving out as his age approaches 80, couldn’t climb into the mountain we live near, so I’d choose to stay with him. I just found “Wild Abundance” by Asheville. They offer classes on homesteading, building tiny houses, gardening, and many other skills.